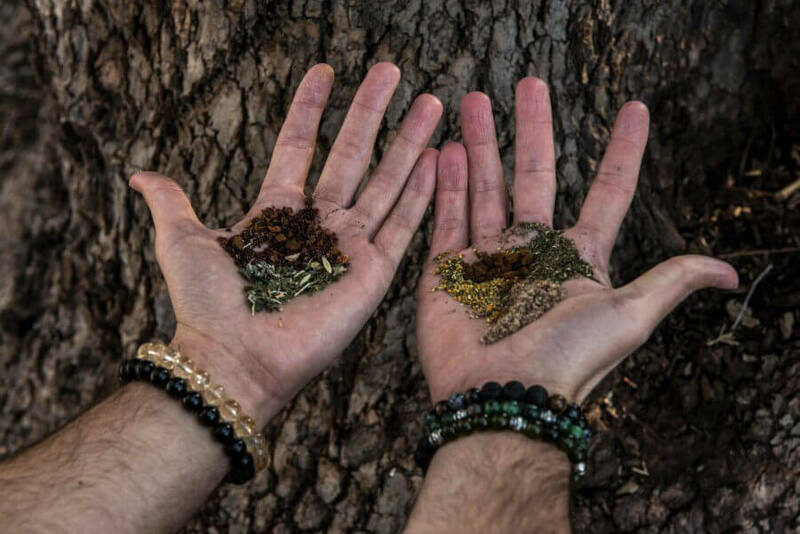 Super herbs are at the core of ancient healing practices and date back centuries. They contain effective adaptogens known for strengthening several aspects of one’s health and for relieving unwanted stressors. Our beverages seamlessly integrate herbal nutrients into your diet, allowing you to feel more energized and engaged throughout your day and satisfied about what you’re putting into your body for the years to come. For centuries the people of Siberia, Russia, and Asia have used Chaga "The King of Medicinal Mushrooms" for its compelling health benefits. Chaga in the form of tea has gained popularity in the West, primarily for its ability to strengthen one's immune system. Its delightful flavor derives from the vanillin compound also found in vanilla bean but in fact tastes nothing like a mushroom. Chaga grows primarily on living birch trees in cold temperate environments and draws in its nutrients and energy components from the tree during its 3-5 year harvest. The Ashwagandha herb is native to the dry regions of India, northern Africa, the Middle East, and mild climate areas of the US. Also referred to as "Indian Ginseng," Ashwagandhas traditionally used for its rejuvenating properties and its ability to help the body adapt to emotional and physical stressors. Ashwagandha contains many useful medicinal chemicals including, alkaloids, choline, fatty acids, and amino acids. The turmeric plant is native to India and southeast Asia, in areas with warm weathered climates and considerate amounts of rainfall. Turmeric is a staple in Ayurvedic medicine, the world's oldest system of medicine formed in India over three thousand years ago, habitually used for its healing, disease-fighting, anti-inflammatory, and physical recovery abilities. A member of the ginger family, this super herb similarly comes from thick roots that grow off the stem of the turmeric plant. The roots are boiled in water, dried in an oven, and ground into a deep-orange-yellow powder widely consumed as a spice. Hibiscus tea is enjoyed across the world and commonly consumed for its eternal health benefits. Often prescribed as a medicinal tea, hibiscus is rich in vitamin C, minerals and antioxidants––typically used to treat high blood pressure, high cholesterol, disturbed digestive systems and inflammatory problems, among other illnesses. The teas are prepared by boiling the tropical hibiscus flower until the colors drain from the petal. Also known as fruit of the rose plants, Rose hips are the red seed-pods that grow on rose plants, in the late summer and autumn, after the flowers have fallen off. Although they may appear insignificant in comparison to a rosebud itself, rose hips are in fact the most nutritionally dense fruit among any plant. They are loaded with vitamin C, A, E, and B-complex, as well as minerals like calcium, iron, magnesium, potassium and zinc, and are commonly consumed to relieve arthritis pain, lower cholesterol, manage diabetes, regulate digestion, and to build stronger bones. Utilized for hundreds of years by Europeans and Americas, rose hips are versatile and desired for both their nutritional benefits and for their delightful flavor. Originated in the tropical rainforests of Southern Asia, ginger has been used for thousands of years for both medicinal and culinary purposes. Ginger is very closely related to turmeric and similarly comes from the dense root of its plant. It contains significant nutrients and bioactive compounds that have powerful health benefits for one’s body and brain. Gingerol, the leading compound found in the ingredient, is potent with antioxidants and anti-inflammatory properties that help combat nausea, pain, and inflammation. Chamomile has been used for its medicinal properties for thousands of years across western Europe, India and western Asia. The flower heads and leaves belonging to the Roman and German species of chamomile are common ingredients in herbal teas. Chamomile acts medically as a mood-booster, pain-killer, antispasmodic, anti-inflammatory, antibacterial, anti-allergenic, and sedative. It is best known for calming anxiety, aiding with sleep, and settling stomachs. Native to the temperate areas of Africa, Europe and Asia, lavender is known for its extraordinary color, scent and health benefits. The buds, roots, leaves and flowers are packed with nutrients, and when brewed in tea can aid in stress relief and relaxation. Lavender supports tired muscles, works as an antiseptic, restores body cells, helps maintain cardiovascular and respiratory health, and treats insomnia, indigestion, inflammation, headaches. A perennial grass native to India and tropical regions of Asia, lemongrass offers a variety of medicinal benefits and is in high demand due to its anti-bacterial, anti-fungal and anti-microbial properties. Lemongrass in the form of tea is loaded with antioxidants and is great for digestion, boosting one’s metabolism and burning fat. This herb is also full of essential vitamins and minerals that help the human body function, such as vitamin A, B1, B2, B3, B5, B6, vitamin C, folate, potassium, calcium magnesium, phosphorous, manganese, copper, zinc, and iron.